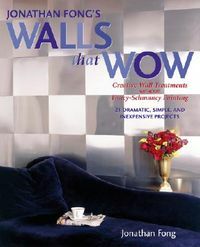 Author/designer Jonathan Fong wowed everyone with his first book, Walls That Wow. Now he turns his wow-power to flower arranging! Try the witty Gung Hay Fat Choy, flowers in a Chinese take-out container. Or the cheery Warhol Daisies, based on the artist's flower paintings. Or the Do Not Disturb Sign, with a spray of roses for the handle. 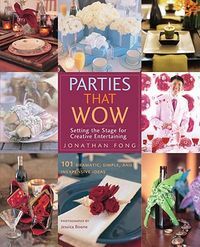 Fong's unique, fun, affordable ideas let budding home florists create distinctive, delightful arrangements for every occasion and holiday, every setting, even every outfit. Complete step-by-step directions plus florist's tips make it easy--there are even how-tos for fixing arrangements gone wrong! 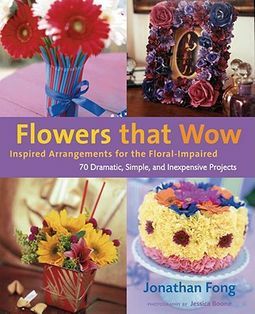 Both an inspiring idea book and a practical instruction book, Flowers That Wow is sure to wow flower lovers everywhere.